This book analyses the social and ethical implications of the globalization of emerging skin-whitening and anti-ageing biotechnology. Using an intersectional theoretical framework and a content analysis methodology drawn from cultural studies, the sociology of knowledge, the history of colonial medicine and critical race theory, it examines technical reports, as well as print and on-line advertisements from pharmaceutical and cosmetics companies for skin-whitening products. 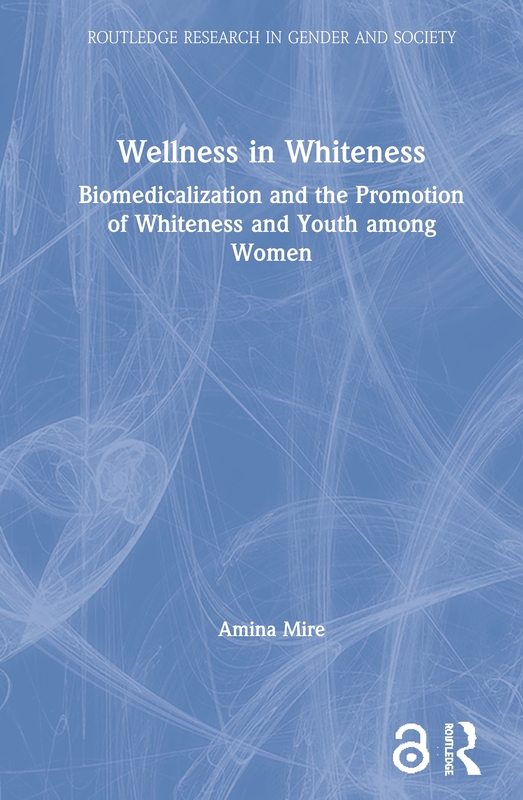 With close attention to the promises of ‘ageless beauty’, ‘brightened’, youthful skin and solutions to ‘pigmentation problems’ for non-white women, the author reveals the dynamics of racialization and biomedicalization at work. A study of a significant sector of the globalised health and wellness industries – which requires the active participation of consumers in the biomedicalization of their own bodies – Wellness in Whiteness will appeal to social scientists with interests in gender, race and ethnicity, biotechnology and embodiment. Amina Mire is Assistant Professor in the Department of Sociology at Anthropology at Carleton University, Canada. Her research interests are in the History of Women and Technology, STEM and Gender, Bioethics, Medical Anthropology, Medical Humanities, and the Biomedicalisation of Ageing.